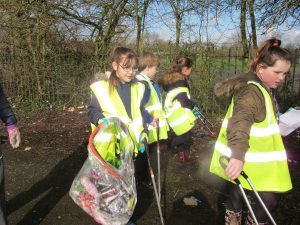 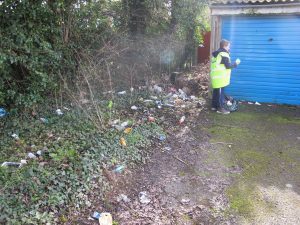 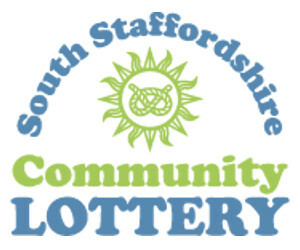 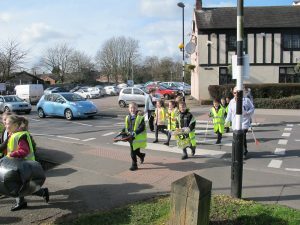 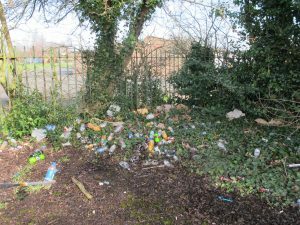 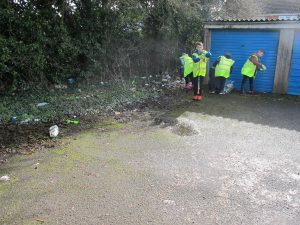 After a shaky start due to the poor weather on Friday, Bilbrook schoolchildren joined the Friends of Bilbrook for a litter pick in the Village on Monday 6th March. 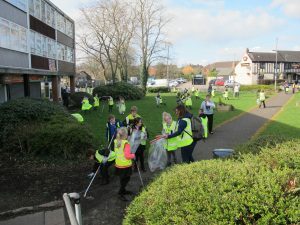 This was part of a national campaign by Keep Britain Tidy called ‘The Great British Spring Clean’. 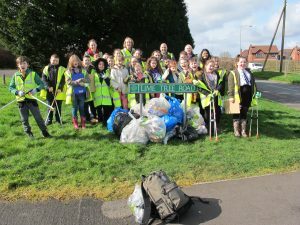 First was the turn of Bilbrook Middle School who collected litter around Orchard Lane and Lime Tree Road, 13 sacks of litter were collected. 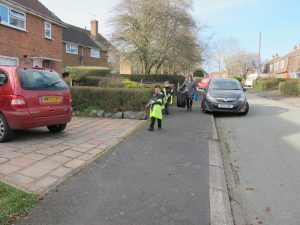 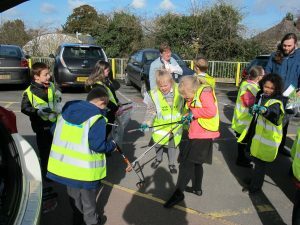 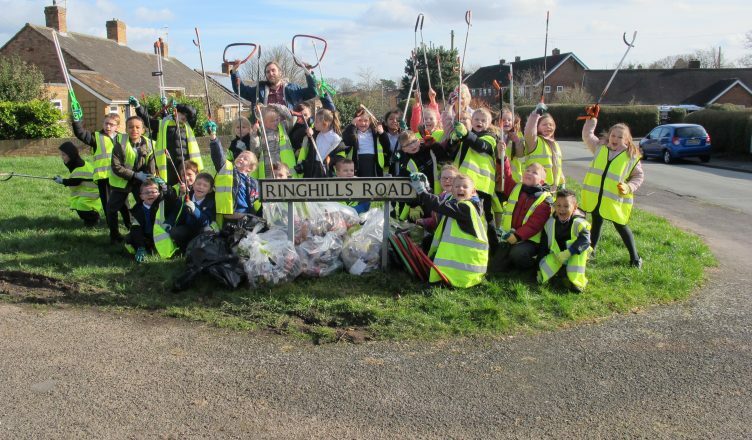 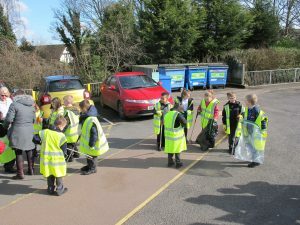 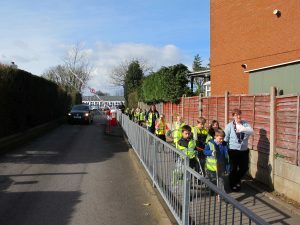 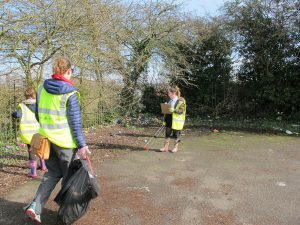 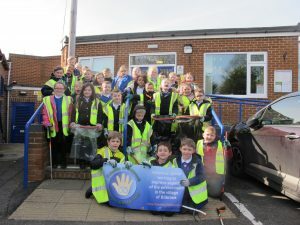 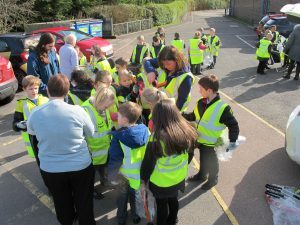 Then in the afternoon it was the turn of Lane Green First School who collected another 13 sacks of litter from around Brookfields Road and Ringhills Road. 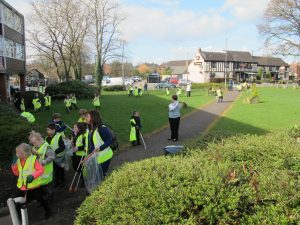 The weather was lovely and both schools comined collected 26 sacks of litter leaving the Village looking much better than it did before. 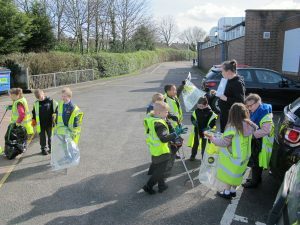 The school children took down details of what had been discarded on the streets and will compile statistics and a report as part of their week long study into waste. 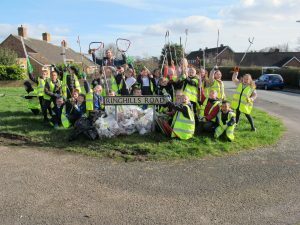 Bilbrook Middle School students and staff. 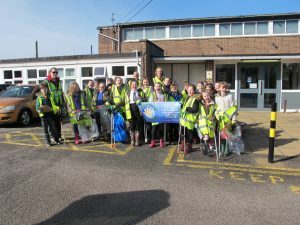 Bilbrook Middle School students at the end. 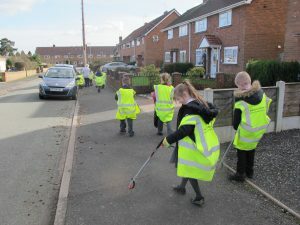 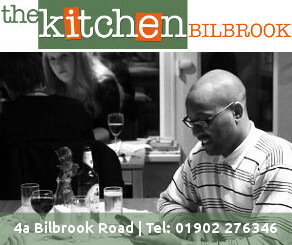 We’re on Google Street View!